I have always had a passion for art and a desire express myself with design and color. Native American pottery and jewelry and the colors of the sea and southwest have always inspires me. Over the years I have had an opportunity to explore different art forms such as stained glass, weaving, painting, photography, jewelry and pottery. 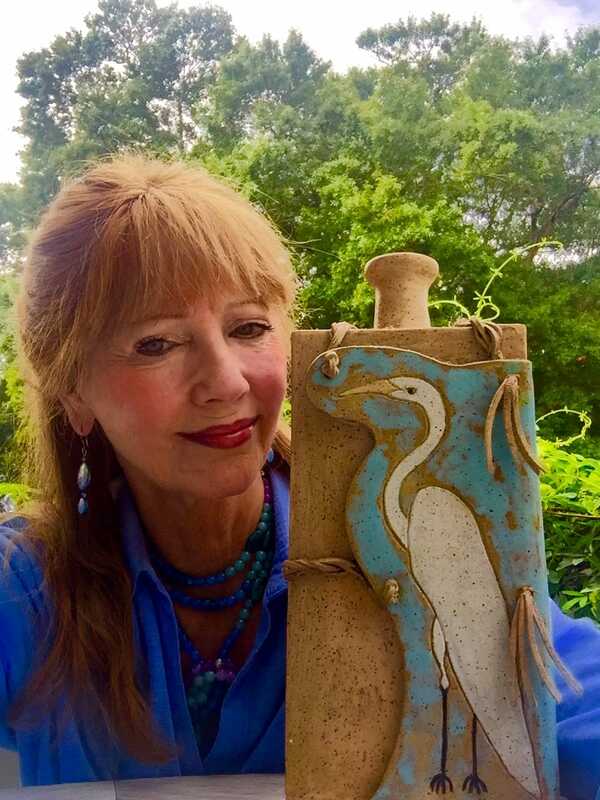 I have been making wearable art all of my life and pottery for about 20 years. When I moved to Southport 21 years ago I began to take classes in pottery making and got hooked. I took classes and workshops for several years. I was really fascinated with the process of making glazes and from the beginning I have made my own. I made and used many colors at first but in recent years I've been using only three or four colors. Sea green is my favorite. When I open the kiln and see pottery that color, it still makes me happy. I also make jewelry using stoneware and porcelain clay, glass, crystals, sea shells, mother of pearl and enamel paint. Creating will always be a part of my life and I'm still exploring.